Hello. I'm Mark Taylor. 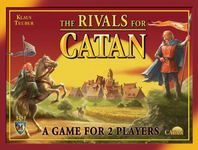 I've been writing about games at paintedwoodencubes.com since 2011. Perhaps you've visited, perhaps not. You should. Since you're here, it's only a click away. I didn't start Painted Wooden Cubes with grandiose ambitions - which is fortunate, since it's a fairly particular contribution to a niche hobby. Painted Wooden Cubes offers a slower, calmer consideration of board and card games (and the hobby around them) than many other sites. I'd like to think it constitutes a valuable corrective to some of the hobby's grosser tendencies. The site offers a considered meander through the world of games, not an agog sprint towards the newest, shiniest thing. I started Painted Wooden Cubes simply because I thought the process of writing about games might increase my understanding of them. I think that's been true. I believe, however, that my explorations can also spark ideas in others. Reviews constitute roughly half of the material I put onto Painted Wooden Cubes, but are the only thing I cross-post to Board Game Geek. Here's a geeklist of my reviews, newest first. 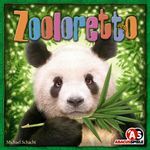 Subscribe if you want to follow my reviews here (but remember you'll be missing much that doesn't get put onto BGG). A couple of notes. Any game I've reviewed, I've played at least five times (and often significantly more). I will have played the game with a range of player counts (unless the game is specifically for a particular number of players). I've not necessarily punched out these facts enough in the reviews themselves - something I slightly regret now. Put it down to worry that any such disclaimer would be stylistically clunky (as indeed, is this one). Trust, however, that whether or not you agree with a given review, it's grounded in experience. The Discovery favours those virtues many board game players flatter their hobby as possessing. It strips back and simplifies, allowing for a purer focus on pleasurable exercises. It also exhorts players to value fewer possessions more dearly. 23 is resilient enough to be pleasurable whether a given round dawdles or sprints. It’s also resilient enough to work well with either two, three or four players. And it’s particularly wonderful how often you can sack it in mid-game and still win. Crazy Lab is, broadly speaking, an enjoyable muddle. A good amount of the time, you can revel in slapping down pain cards on other players, secure in the knowledge that there’s no way you could or should be trying to win a given trick. You can enjoy being out of control in Crazy Lab in a way you cannot with other trick-taking games, because here there’s no realistic means to ever establish control. 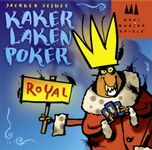 Kakerlakenpoker Royal is pure in its focus in a way few games of this period are: lying and reading lies is everything here. That’s not just fine, that’s great. It means this game cannot really be gamed, only played, and Kakerlakenpoker Royal is a game which it is a joy to play. The primary pleasure in Fast Flowing Forest Fellers is not in pushing around dead trees, but in pushing around other players. Watching a log thwart a rival has nothing on the joy of getting in his or her way yourself. 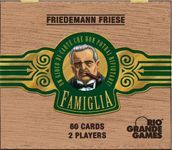 The central engine of Famiglia is so clunky as to require an extrinsic injection of energy to keep functioning: becoming acquainted with it is like taking on a job as a maintenance worker at the Large Hadron Collider, and finding that it’s all held together by ad hoc welding and improvised electronics. I so wish a lot of the cruft had been removed from Amyitis before its release; a leaner, fitter, healthier game could have been built upon the same skeleton. But, had Amyitis been such a thing, been a more taut, more efficient composition, it would have communicated something different. Innovation is in general a tremendously likeable, multi-dimensional and nuanced game. In particular, the potential for cards to surpass the overt limits of their power allows for splendidly nifty moments, and gives a pleasing reward for quick-wittedness. Though the moment-by-moment gameplay of Innovation fits uncomfortably with the game’s theme in certain respects, control does ebb and flow between players in a way that reproduces in miniature the swoops of history. Agricola either offers the satisfaction of utilizing a neat combination, or the tension of scrabbling to improvise survival. Not knowing which flavour of experience a particular game will give which makes Agricola compelling to revisit. 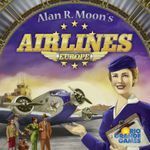 Hidden information is a large part of what makes Airlines Europe more approachable than most other share-holding themed games. You can read other players’ actions for clues, but there’s a limit to this – and thus, that great absolver, luck, does have significant involvement in the game. Open bids are about sending an unambiguous message, blind bids are about sowing doubt. Each lets the imagination do work. Thus, the value of a placement is partly in what it does to your opponents – which I love, though those who want to analyse too mathematically might find this less appealing. But the interplay of bidding mechanisms makes Ys unlike anything else, and that in itself, is to be commended. There’s a chimpanzee in my barn. I want my neighbour to buy it from me; sadly there’s no room for it in any of the enclosures at my zoo, and I could do with the money I’d make from the sale to move a refreshment stall to a more useful location. For my neighbour, I’d say the chimpanzee looks like the difference between filling an enclosure – securing a load of points – and not. If Wishes Were Fishes! could have been dressed in different clothes. The player could have been a non-specific businessperson, rather than a fisherman or fisherwoman. The silly, fun artwork could be stripped away, and replaced with something po-faced. You could have had cardboard chits for worms, and have called them investment tokens. There’s enough muscle in this game to support a sterner styling. But then you’d lose much of the charm of If Wishes Were Fishes! You, as a player, lack control – and the game’s too long for that to be acceptable. The fact that the game’s most important improvements require a variety of different resources – for instance, building a settlement needs one wood, one brick, one wheat and one wool – means many turns will be spent, wishing for that one missing item which the dice just won’t cough up. Oregon is all about opportunism, both grabbing opportunities to score points, and opportunities to deny rivals. Your hand of cards is too small to plan more than a single turn in advance. But the absence of grand plans does not mean the absence of grand experiences. Oregon stands as evidence of this. 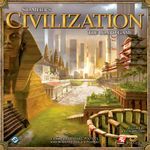 Sid Meier’s Civilization: The Board Game does offer the kind of experience it ought. You, for the most part, can play the ruthless dictator or benevolent king or queen of your civilization, and not its finance minister or treasurer. Onirim is quite marvellous. On one level, it offers an addictive patience experience – it would be hard to imagine that I would ever get any work done at all, if it were a version of Onirim, rather than Klondike, pre-installed on my PC. But, more than this, Onirim shows how eloquently a simple, text-free card game can mirror something of human nature, and therefore tell us about ourselves. Jaipur is good, but not great. It succeeds in producing some relatively tough decisions in a short play-time, but it lacks room for inventive play. 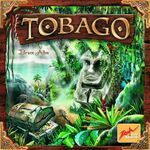 Tobago offers a great experience, putting a rich, approachable theme onto its essentially economic mechanisms. 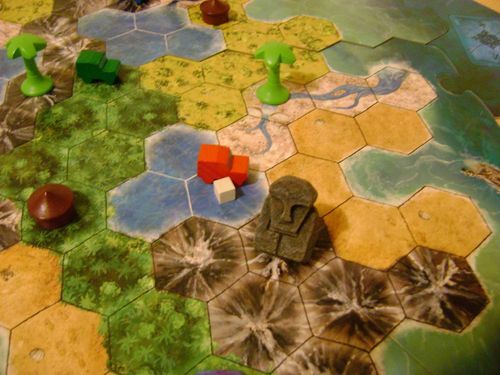 However, some players might be uncomfortable with the fact that the game-within-a-game of treasure distribution often trumps the significance of map-building and treasure hunting - which together take the lion’s share of play-time.